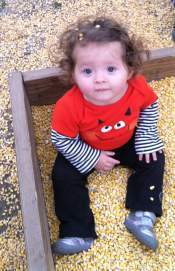 Earlier this month I took Aubriella to the pumpkin patch. 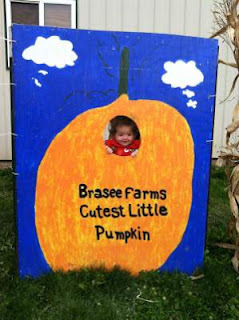 Brasee's Corn Maze and pumpkin patch is always a blast to go to and a tradition I started going to 3 years ago. I took Ella there for the first time last year when she was only a few weeks old. It is about an hour from the house. There is so much to do. This year the weather was just right. It wasn't to cold, sun was out, and a slight breeze. Which also means it was crowded. The original plan was to have Aubriella lay in the corn pit like last year, but there were so many bigger kids in the corn pit it didn't happen. I was able to sit her in the corner and take a quick picture though. Aubriella also went down the straw slide a bunch of times. 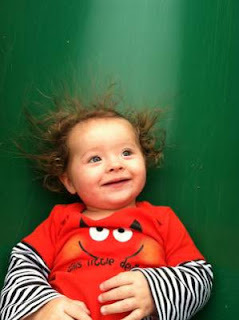 ﻿After that she had wild hair. They have a petting zoo of pony's and goats. 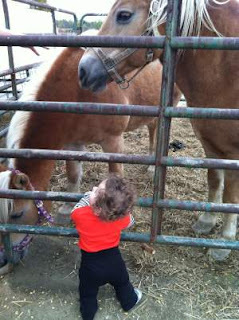 Aubriella wasn't into the goats but wanted a pony. She almost crawled into the pony's cage. Other things for kids to do is a kids straw maze, a wooden train they can crawl through, and a pitch black crawl through straw maze. 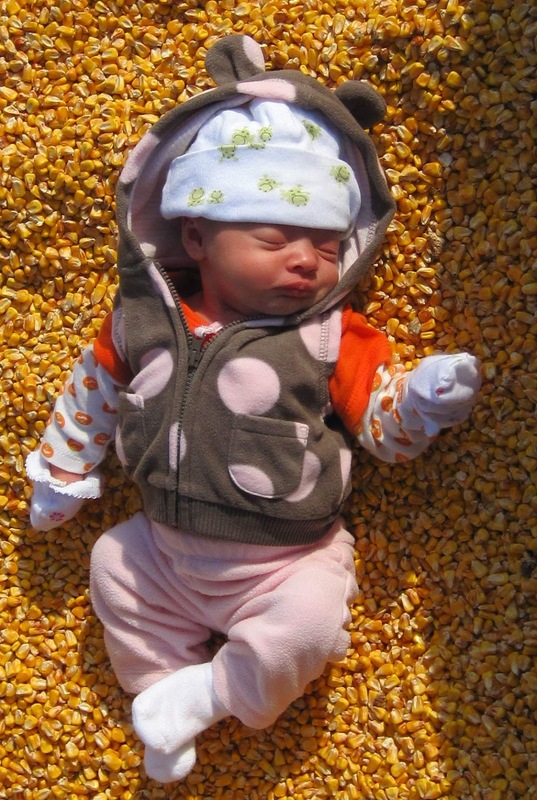 For adults there is a large corn maze. This is the first year we went it the entrance and out the exit. It only took us about 45 minutes. There is a pick your own pumpkin patch and an already picked pumpkin field. 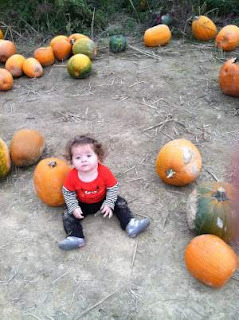 I let Aubriella crawl over to a pumpkin for us to take home. Now just to carve it for Halloween.